Mission Statement: Arizona Wings N' Stings means Quality Service - to provide our clients with effective, innovative and long lasting solutions for their Bird and Bee control problems. 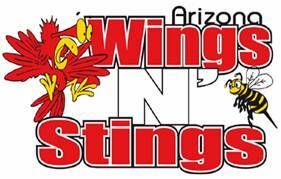 Vision Statement: To have Arizona Wings N' Stings regarded by both our clients and employees alike with appreciation and caring for being trustworthy, honest and able to effectively solve all of our clients bird and bee control problems. Quality: Do it right the first time, on time, every time, even when no one is watching which is most of the time. We are always accountable to our clients, peers, and ultimately to God in all things that we say and do. Customer Satisfaction: We get called on to be professional problem solvers. The client is entitled to be satisfied with the looks and the end results of all our work. & superior results for our clients ! All Workmanship is Guaranteed for 3 Year or more ! HISTORY - Arizona Wings N' Stings was started in 1997 as one of only a few companies in the entire southwest that specialized in solving human interaction problems for Pigeons and Birds where they come in contact with humans or animals causing image, health and liability problems or concerns. 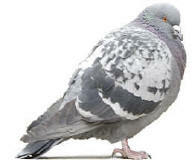 Before 1997 we did General Pest Control along with Bird Control, Bee Removal & Gopher Control work under the name Aaardvark Pest Control, Inc. which we took over in 1978 until selling that business which had routes all over the Phoenix and the East valley area to the largest pest management company in the world so we could just specialize in Pigeon & Bird Control or Exclusion and Bee Removal. After 26 plus years in the Bird control and Pest control business we have learned a great deal through training provided by some of our suppliers, membership in the Nation Pest Management Association and the Arizona Pest Professional Organization, but our real training comes from 1000's of man-hours of both hands on field work and experimental application work using different exclusion or deterrent materials and methods to find out what looks good and about what will work and what will not work in different situations and structures. The manufactures of different bird materials sometimes make claims that don't hold up as claimed to the birds or to the intense desert heat or the north country cold, rain and snow and it takes experience and knowledge to use the right products so we get the desired results. Unlike some companies in town who's employees show up in an old truck with questionable insurance, we use clean well marked, GPS equipped company vehicles and trained, experienced, uniformed personnel doing the Job Right, The 1st Time. We do not subscribe to fast cures, gimmicks or one method fits all. No matter how big or small a project is we look at each situation with an open mind and based on our extensive knowledge and experience analyze what is going on at that location, why are birds in this location and then recommend what we feel will look the best and what will work the best for our customer and their budget. We can usually Meet or Beat most any other written estimate from other OPM licensed competitor. Full time employees, not independent contractors which can sue you if they get hurt working on your property without some form of workers compensation insurance. Our employees are paid by the hour not by the job so our employees take the time to do the job right the 1st time. Fully insured - from homes to hangars. Installer of Birdbarrier, Bird Be Gone, Hotfoot, Nixalite, Flybye, Bird-X, BirdBuffer, AviHaze, OvoControl, and Bird-Tec control products plus many others. We have serviced over 4000 plus homes, 100's of businesses along with many different and unusual types of structures like industrial buildings, freeway underpasses, gas station canopies, cooling towers, billboards, parking garages, casinos, libraries, multi-story buildings, warehouses, hangars, hospitals, apartments and many other structure where birds had become a liability problem or health hazard. Call for same day bird control and bees removal services when available - depending on time of year. Copyright © 2011 Arizona Wings-N-Stings All rights reserved. Revised: 12/07/10.